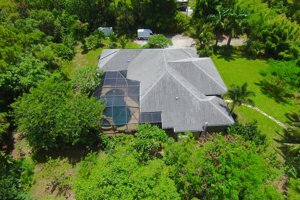 Homes for Sale Palm Beach Country Estates - Search homes for sale in Palm Beach Country Estates. See all MLS Real Estate homes for sale in PB Country Estates. Palm Beach Country Estates provides a relaxed country lifestyle in Palm Beach Gardens. Residents enjoy wide-open spaces in large lots, and the beach is only a short drive away. In addition to great homes, Palm Beach County Estates are conveniently located near I-95, making it easy to get to the area’s best dining, shopping, and entertainment. Real estate in Palm Beach Country Estates consists of over 1,400 single-family homes. Most of these homes range in size from 1,700 square feet to more than 5,300 square feet. A unique feature of each home is each one is more than an acre in size. This vast amount of open space is ideal for people and families that enjoy backyard activities like gardening and barbequing, or the simple, relaxing pleasures of the outdoors. See this recently sold listing in the community. Common luxury amenities include volume ceilings, walk-in closets, and split bedroom floor plans. Horses and equestrian riding are both permitted in Palm Beach Country Estates, which adds to its rustic charm. However, the community does not live in the past. City water is available at every home, and more of the community’s dirt roads recently got approved to be paved, making transportation fast and easy. 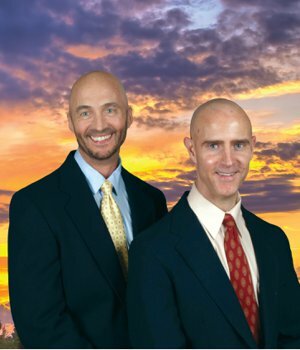 To view all homes available in Palm Beach Country Estates, call the Palm Beach Country Estates Experts, Thom and Rory. Call 561-741-9666 or Text 772-349-8466. Recreation in and around Palm Beach Country Estates makes the homes ideal for all ages. 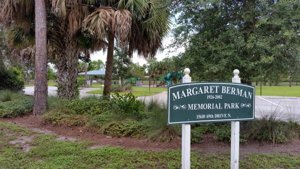 For instance, the Margaret Berman Memorial Park and the Twisty Pines Playground have plenty of space to take a jog or play games. A walking path offers an ideal space for a relaxing stroll. Of course, residents are only minutes away from the renowned beaches. It is easy to spend a fun day swimming, surfing, boating, or strolling under the Florida sun. Adventure types will love the easy access from within the community to the incredible Riverbend Park. Bike paths with bridges over the C-18 canal provide Palm Beach Country Estates residents with their own amazing way to get back to nature. Riverbend park with it's time honored history, wild habitats, jogging and bike trails, picnic areas, kayak rental center, water access and so much more. Dining, shopping, and recreation are plentiful for residents of Palm Beach Country Estates. Several local restaurant favorites include Burger Bar, Talay Thai Cuisine, and Hokkaido Hibachi & Sushi. All kinds of shops can be found at the Gardens Mall, which has both upscale designers and department store retailers. Also nearby are Whole Foods, Trader Joe's, Raw Juce. Fun entertainment, restaurants, and shops can all be found at Harbourside, a new attraction in Jupiter. Located only a short drive away, Harbourside has an amphitheater and plenty of scenic views to enjoy while shopping or tasting one of the many cuisines. The Riverwalk area has plans to expand and develop even more attractions for its visitors. LEARN MORE ABOUT PALM BEACH GARDENS AREA HERE. Residents of Palm Beach Country Estates are served by the School District of Palm Beach County. The programs here are continually ranked at the top. For alternative education, there are several nearby private schools. See all currently Palm Beach Country Estates homes for sale now available below. HOMES IN THE PALM BEACH COUNTRY ESTATES COMMUNITY WILL GO QUICKLY WHEN PRICED WELL. BE SURE TO GET ON OUR ADVANCED NOTICE LIST TO RECEIVE IMMEDIATE NOTICE OF THE LATEST LISTINGS PRIOR TO OR WHEN FIRST PRESENTED ON THE MARKET IN THE MLS. To get on the Palm Beach Country Estates waiting list Call: 561-741-9666 or Text: 772-349-8466. Palm Beach Country Estates Bldg.